BANDAR-SERI BEGAWAN, Brunei - The Association of Southeast Asian Nations Defense Ministers' Meeting Plus (ADMM-Plus) Maritime Security and Counter Terrorism Exercise began May 3 with an opening ceremony at the Multi National Coordination Center in Brunei. "ADMM-Plus continues the trend of increased multilateral cooperation among navies in the Indo-Asia-Pacific," said Cmdr. Lex Walker, deputy commodore, Destroyer Squadron 7. "Working together at sea under realistic training scenarios enhances maritime cooperation and prepares our navies to work together during times of crisis." 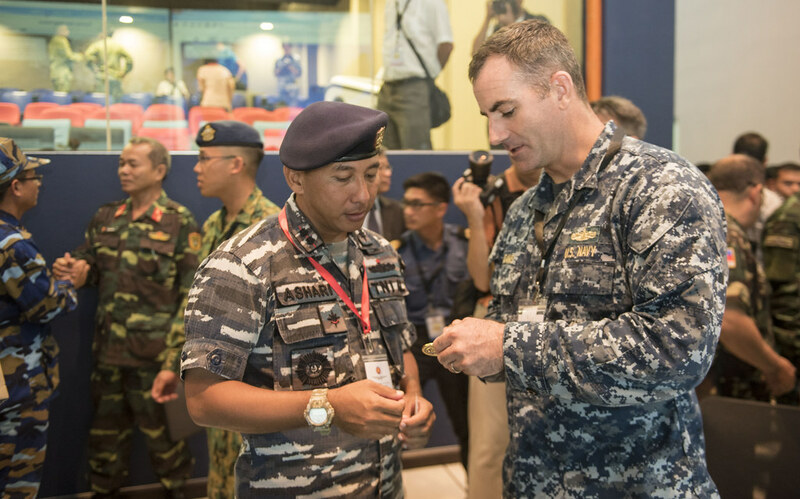 The harbor phase of ADDM-Plus 2016 includes communications exercises, visit, board, search and seizure (VBSS) skills exchanges, flight deck familiarization and a welcome reception hosted by the Royal Brunei Armed Forces. Arleigh-Burke class guided-missile destroyer USS Stethem (DDG 63) will participate in the sea phase of the exercise while assigned to a maritime task group. The sea phase will feature a maritime security and counter terrorism scenario, while both scenarios include cross-deck helicopter operations, VBSS training, divisional tactics, and communication drills. 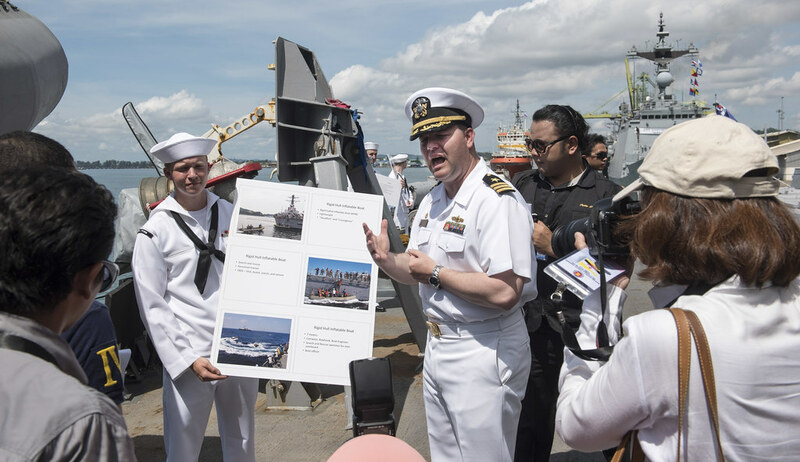 "We are looking forward to getting out to sea and training together with sailors from other regional navies," said Cmdr. Harry Marsh, commanding officer, USS Stethem. "Our crew will be able to see firsthand how other navies operate and we can learn from them while sharing our own operational tactics and procedures." The exercise concludes with arrival of participating ships in Singapore along with a land-storming counterterrorism exercise. The semiannual exercise involves navies and armed forces personnel from 18 ADMM-Plus countries, including the 10 Association of Southeast Asian Nations Member States -- Brunei-Darussalam, Cambodia, Indonesia, Laos, Malaysia, Myanmar, the Philippines, Singapore, Thailand, and Vietnam -- and the eight Plus countries of Australia, China, India, Japan, New Zealand, Republic of Korea, Russian Federation and the United States. U.S. military units participating include Stethem, a P-8 Poseidon maritime patrol craft, U.S. Army Pacific chemical, biological, radiological and explosives teams, and staff from the U.S. Pacific Command, U.S. Pacific Fleet, Task Force 73 and Destroyer Squadron 7.